Defense for Children International – Palestine submitted a joint report to United Nations investigators, last week, detailing Israeli forces’ killing of Palestinian children during mass protests in the Gaza Strip, conduct amounting to war crimes. 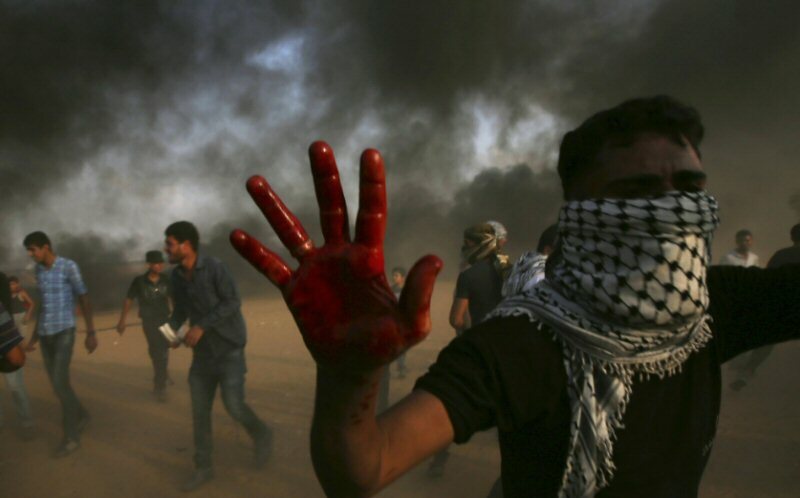 The 57-page report, drafted in collaboration with the Human Rights and Gender Justice Law Clinic (HRGJ) at the City University of New York (CUNY) School of Law, provides background and context to mass protests in Gaza, highlights Israeli forces’ unlawful killing of Palestinian child protesters, and details serious violations of international law by Israeli forces. The report was submitted to the UN Commission of Inquiry on the 2018 protests in the Occupied Palestinian Territory (OPT), which was established during a special session of the UN Human Rights Council in May 2018. The report notes, according to the PNN, that of the 56 Palestinian children killed by Israeli forces and settlers in the OPT during 2018, a total of 45 children were killed in the Gaza Strip since March 30, according to evidence collected by DCIP. In the overwhelming majority of cases, DCIP was able to confirm children did not present any imminent, mortal threat or threat of serious injury when killed by Israeli forces. The report concludes Israeli forces and officials are responsible for war crimes, crimes against humanity and other serious violations of international law for the killing of Palestinian child protesters in Gaza. While Israeli authorities have selectively opened their own investigations into several incidents occurring since March 30, 2018, Israeli authorities have persistently failed to impartially and independently investigate alleged violations of its armed forces in accordance with international standards.